Our product range includes a wide range of Non Asbestos Gasket, Teflon Gasket, PTFE Gasket, Autoclave Gasket, Rubber Gasket and Graphite Gasket. Enriched by our vast industrial experience in this business, we are involved in providing Teflon Gasket. The coating of high quality Teflon provides high strength to this product. The material used for manufacturing the range includes teflon (PTFE), elastomer, armid fiber and more. Teflon Gasket gives perfect functioning and is widely appreciated for high quality. According to the requirements of our customers, we are involved in offering a fine quality PTFE Gasket. Our array is designed as per strict industrial standards and norms by using best quality raw material. The range finds wide application in flat face flanges. We ensure that the quality and performance of the product is up to mark by conducting various tests. We are offering Autoclave Gasket to our clients. 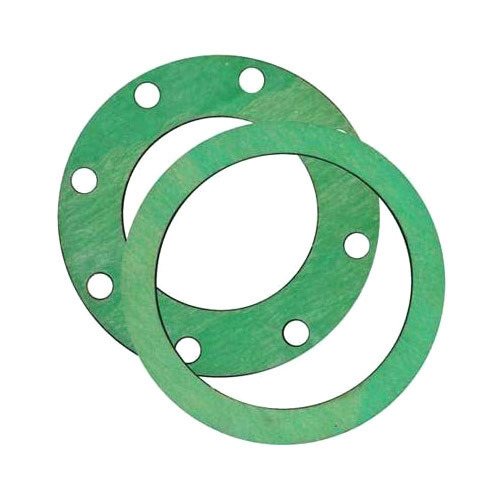 These gaskets are widely find their application in flanges to prevent the liquid leakage. It is manufactured by our adept professionals at our well-equipped production unit using supreme quality raw material. It is available in the market at leading price. We take pride in introducing ourselves as the renowned providers of Rubber Gasket. Offered range offers perfect griping and can easily withstand high pressure and temperature. It is usually used in pressure cookers that find usage in kitchen. Rubber Gasket does not break or crack and offers perfect seal ability. The range is excellent in terms of functioning.